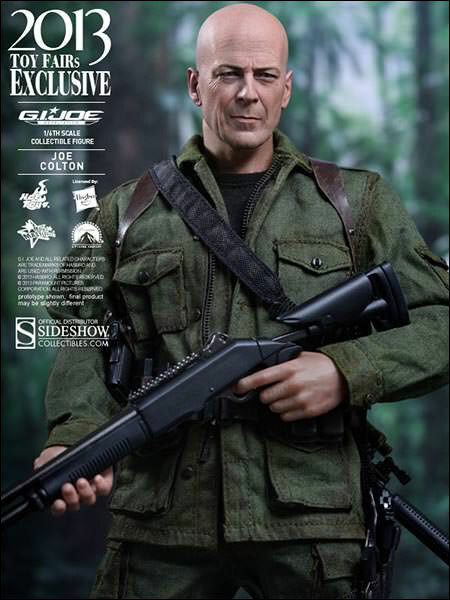 There is one man that Roadblock and his teammates can trust in G.I. 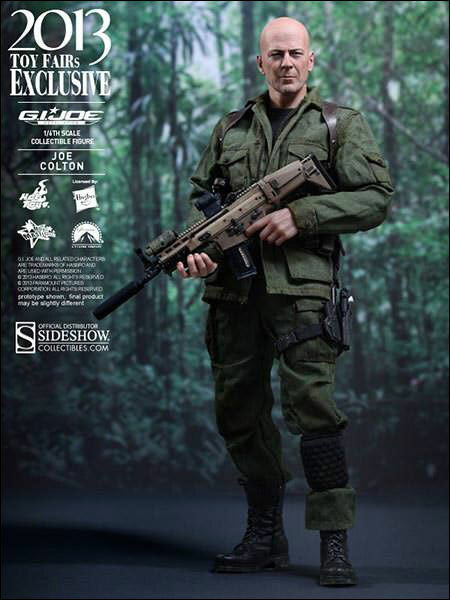 Joe Retaliation and it is none other than the original G.I. 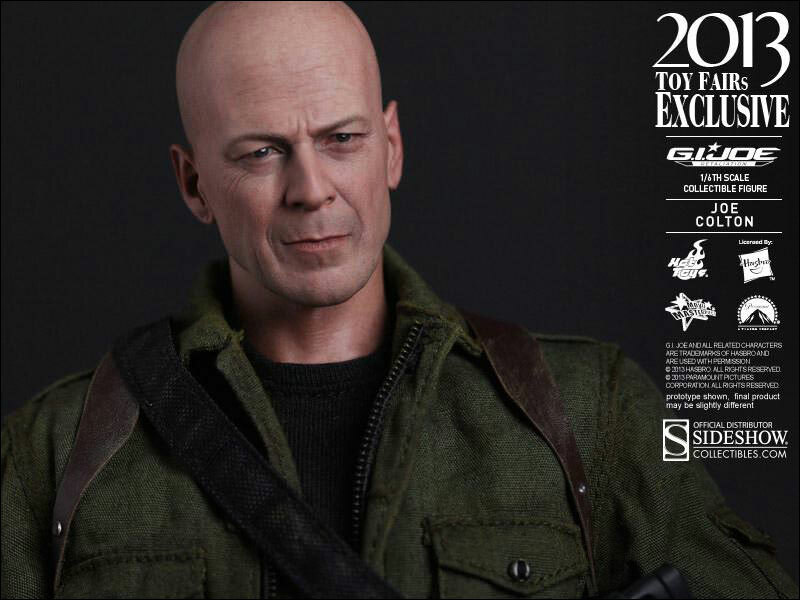 Joe himself. 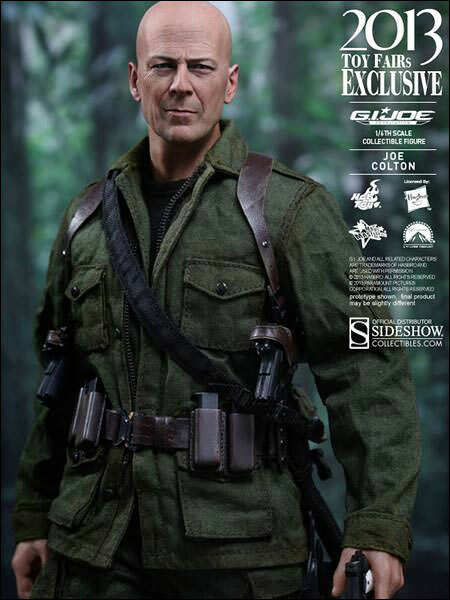 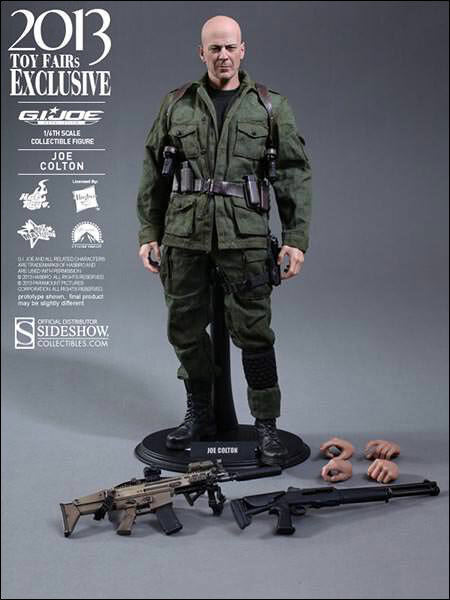 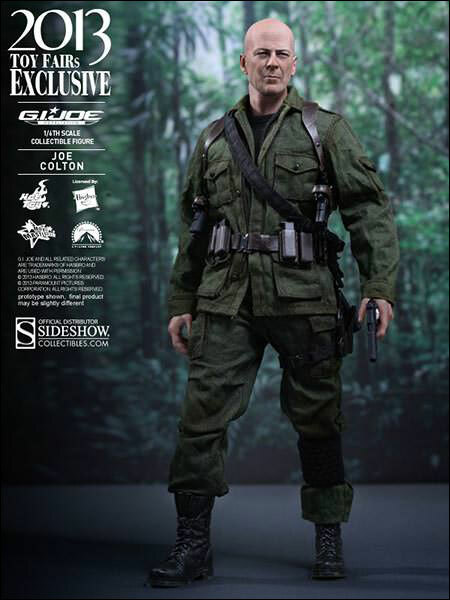 Hot Toys is proud to present the 1/6th scale Joe Colton Collectible Figure as one of the 2013 Toy Fairs Exclusive items. 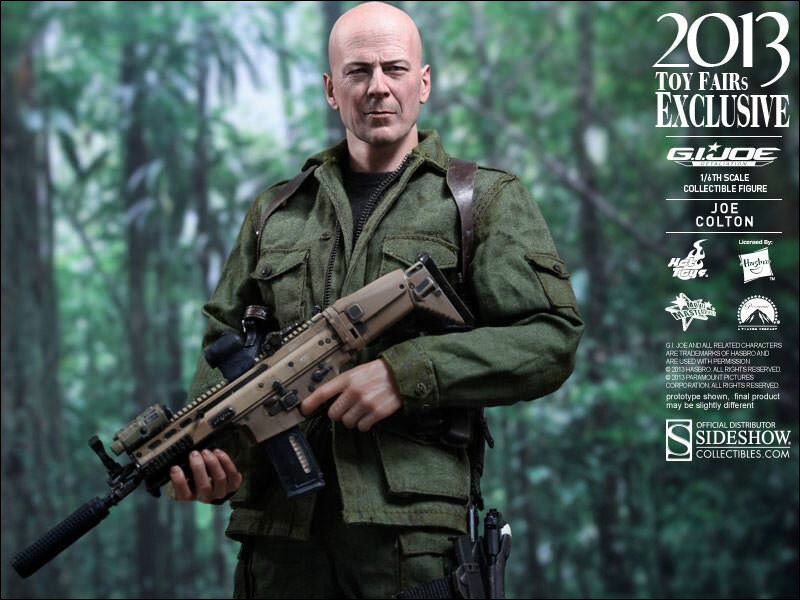 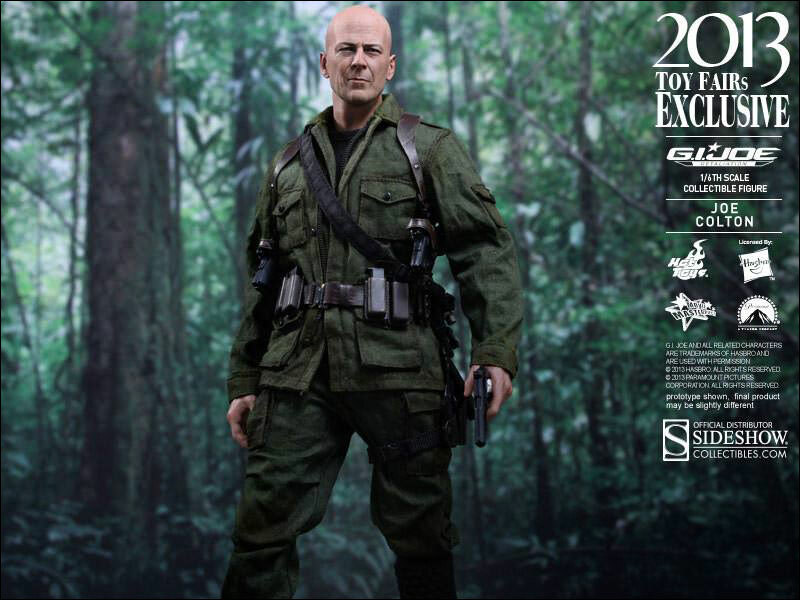 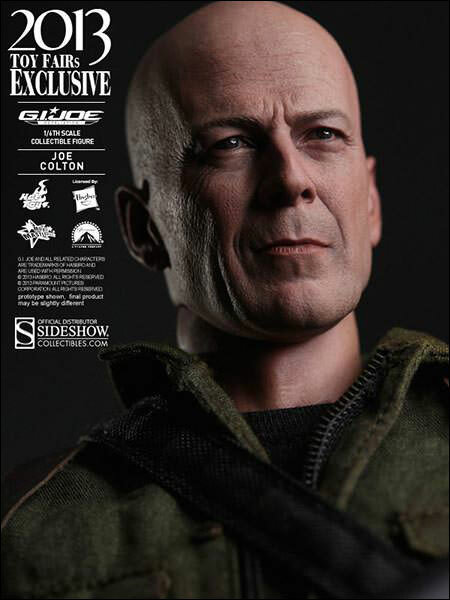 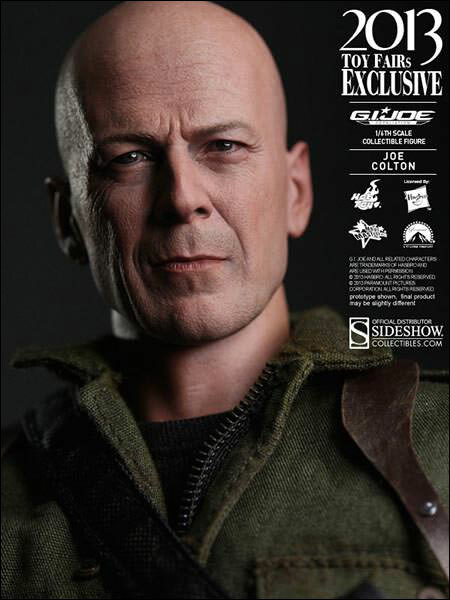 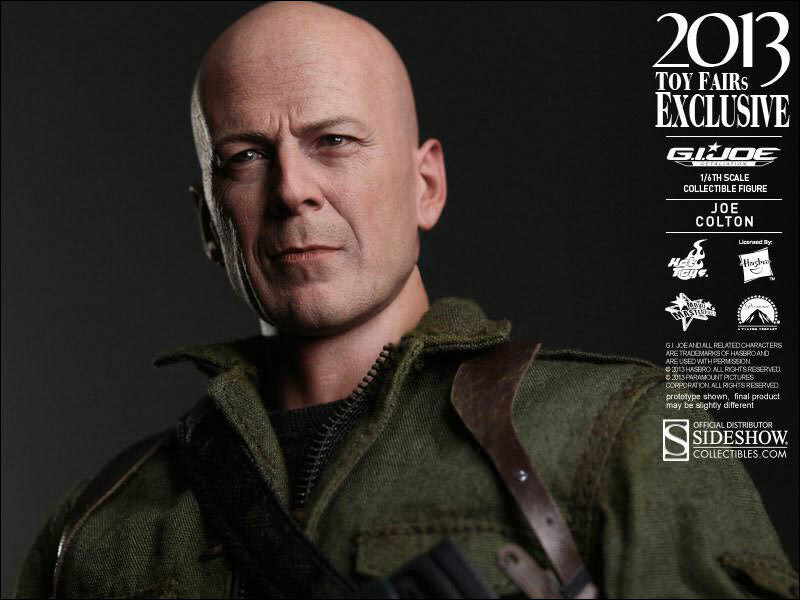 We know fans have been waiting for a collectible figure featuring the acclaimed Hollywood movie star Bruce Willis’ likeness and we are happy to let you all know that the collectible figure based on Joe Colton from G.I. 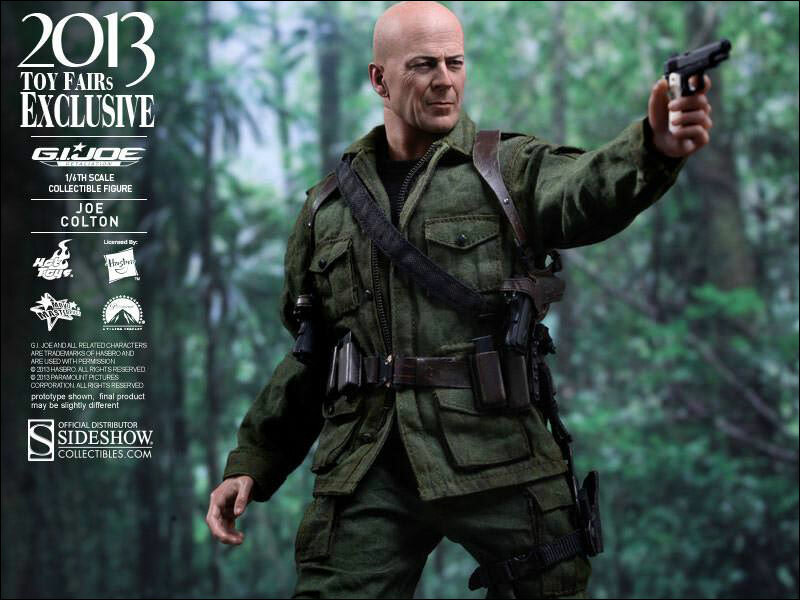 Joe Retaliation is finally here. 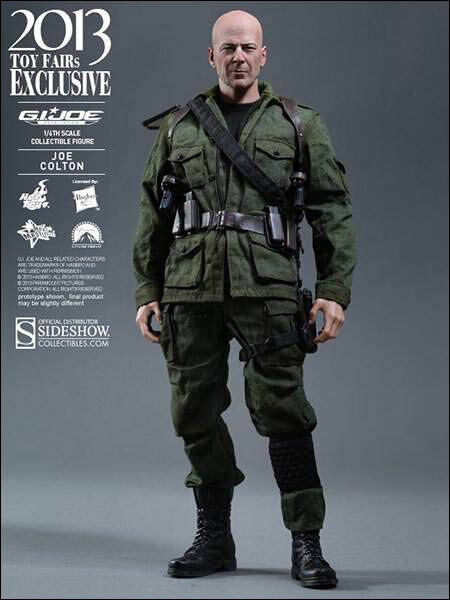 Based on the icon brand from Hasbro, the movie-accurate Joe Colton collectible figure features a highly detailed head sculpt, tailored costume, weapons and accessories.